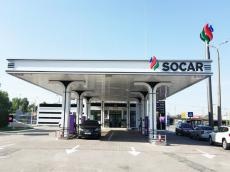 SOCAR Turkey (a subsidiary of the Azerbaijani state oil company SOCAR) is considering the possibility of acquiring a company having filling stations in Turkey, director general of the company Zaur Gahramanov said. “Presently, SOCAR Turkey is considering the company, which owns 600-700 filling stations throughout the country,” Gahramanov added, Trend reports referring to the Turkish media. SOCAR may make more investments in the expansion of the network of filling stations in Turkey, he said in an interview earlier.